School counseling is a rather specialized field, yet students entering it do not have a single, comprehensive resource to guide them through the process. 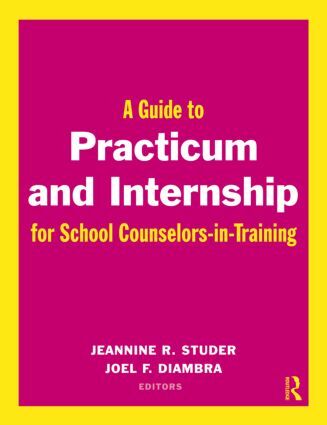 This text covers all aspects of the practicum and internship experience, from the initial contact with your supervisor to detailed descriptions of each of the different roles you will have, and will help you gain an understanding of the school culture and how to begin thinking about and developing your own philosophy of school counseling. Specific topics covered include popular counseling theories used by school counselors; working with special populations of students; application of the ASCA ethical standards; the administration of day-to-day tasks, such as arranging an office space and managing your time; and elements of the guidance curriculum, including individual student planning, responsive services, and systemic support. Each chapter contains activities, case studies, hypothetical situations, and worksheets designed to facilitate your understanding of and role in the profession. All material presented is consistent with both the CACREP accreditation standards and the American School Counseling Association’s National Model ®.